Interested in leasing a Range Rover Velar? Land Rover Spokane is excited to offer competitive lease programs for new Range Rover Velar models. We update our lease offers on a monthly basis, so if you don't see what you are looking for, be sure to check back. Browse our current Range Rover Velar lease offers below, or contact us today at (509) 590-0754 for more information. STK# KA210984. MSRP $62,485. Lease for 39 months. $4995 cash or trade equity plus sales tax or other taxes, tag, title, registration fees & government fees total due at signing. Includes $150 NEGOTIABLE DOCUMENTARY SERVICE FEE. $0 security deposit. 10k miles per year (30 cents per excess mile). With approved above average credit through Jaguar Financial Group. Offer expires end of month. Land Rover Spokane is your source for Range Rover Velar lease offers in the Spokane area. Leasing is one of the easiest ways to enjoy a new Range Rover Velar, providing that new car experience at a typically lower monthly cost than financing. If you love that new car smell and usually drive less than 10,000 miles annually, you should consider leasing your new Velar. At the end of your lease term, you can return your vehicle and upgrade to a new Range Rover Velar, or purchase it outright at a reduced price. Our Range Rover Velar lease offers are only available for a limited time, so be sure to contact us today at (509) 590-0754 to take advantage of these exciting programs. Leasing is a great way to experience the latest Land Rover models, with less financial commitment than financing. Land Rover Spokane is excited to offer a variety of lease programs to help make new vehicle ownership even easier. 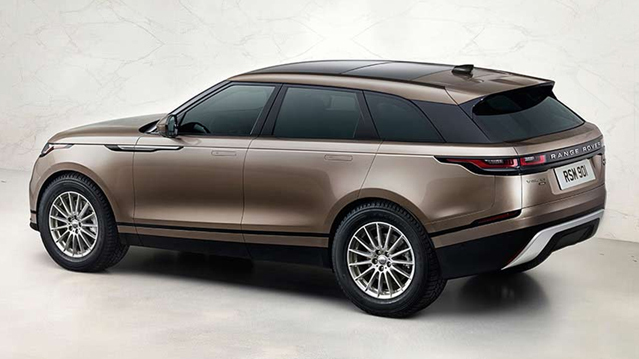 For more information on our available Range Rover Velar lease offers, feel free to give us a call today or stop by our Spokane area showroom to speak with one of our team members. Make sure to also check out the rest of our lease and finance offers available exclusively at Land Rover Spokane. We look forward to getting you behind the wheel of the new Range Rover Velar you have been dreaming about today!